I know it's been ages since I last did a post, but I have been very busy in the crafting world - I'll be able to show you some of the projects a bit later, but for now they are just for me!! The other day I had a chance to try out some more ideas with the fabulous new Simply Scored Tool from Stampin' Up!®. 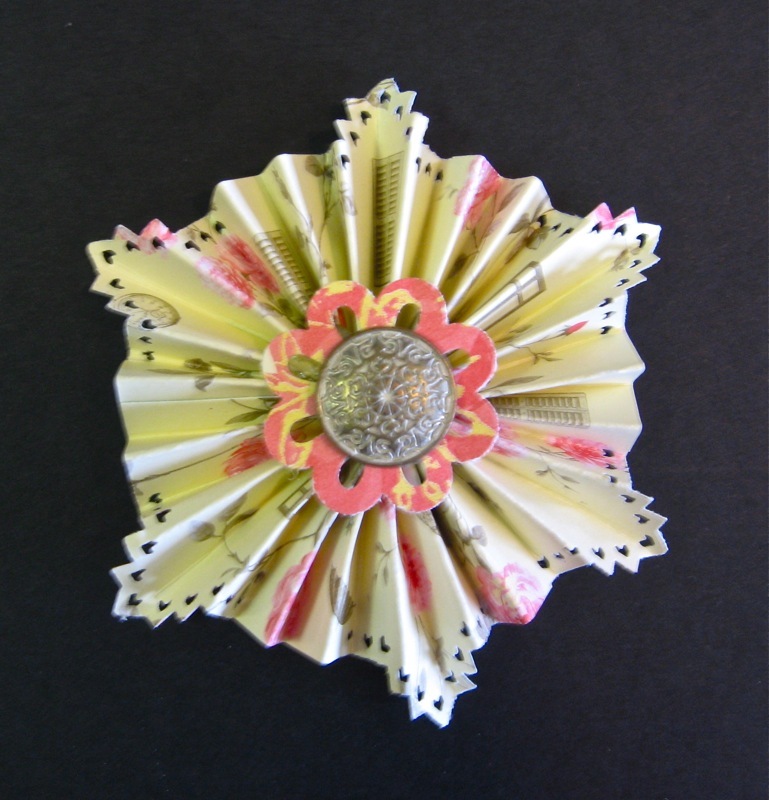 This is a wonderful new tool that you'll find in the Autumn/Winter Mini Catalogue and if you let your imagination go, you can create all sorts of decorations with it. 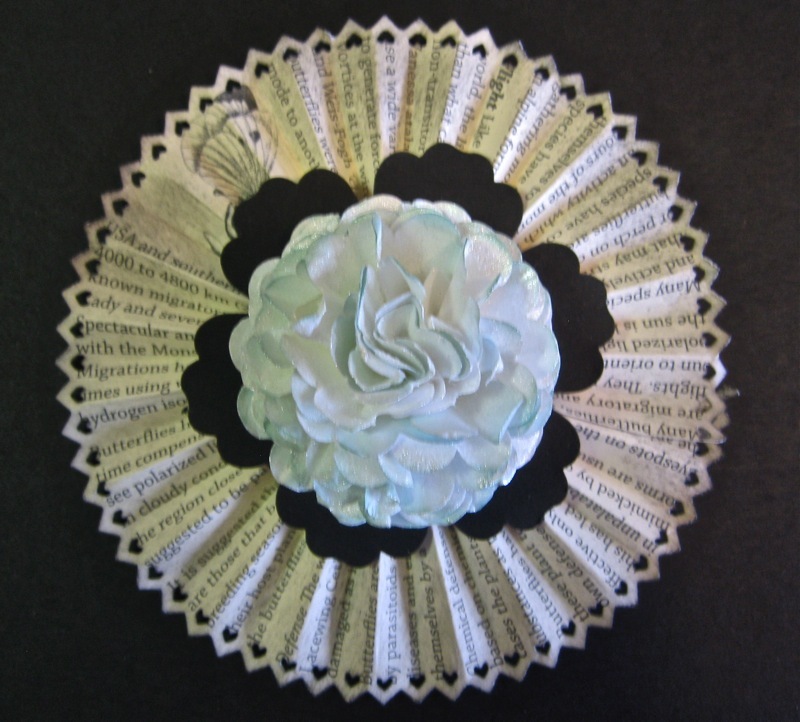 Don't you love the concertina effect in the rosette? It's so easy to achieve accurate fold lines using the Simply Scored Scoring Tool and that in turn makes it easy to concertina fold the strip of paper. And here is another sample. I had a bit of help from a friend with this one - thanks Heather for all your mathematical working out of where to punch. I can't wait to try lots of variations of this one using different corner punches and different dimensions. This reminds me of a snowflake, and I'm excited at the possibilities of other designs. The Simply Scoring Tool is something you just cannot do without. Once you have tried it - I know you'll love it. Feel free to contact me for further information or to order your Stampin' Up! Simply Scored Scoring Tool.